Memory Works: Basic Grey Wander, Pyrus & Jovial! The day that you get a box full of new BASIC GREY in the mail is a very good day indeed! To be truthful, I wasn’t 100% hopeful because, although the 3 new lines I ordered from MEMORY WORKS looked really good online, I have to admit to being disappointed with some of their recent lines once I saw them in person. However, that was not the case this time … I was super impressed with these 3 ~ wahooooo! The one I ordered the most of was Basic Grey “Wander,” which is their new travel line. I’ve always been a sucker for primary colors (one reason I love our new “ELE.MENT.ARY” line so much), and the colors in this line did not disappoint. Here is the “Wander” Doily, which is a sheet of intricately die cut 12×12 paper. I think this one just begs to be cut apart and used as strips, don’t you? I could see cutting it straight along the color lines, or even mixing 2 or 3 of the colors on one strip, like the red, light blue, and butter yellow. Or making skinny strips and layering them … Oh, the possibilities are endless! These are the Wander “Small Details” decorative stickers. They’re on pop dots so they’ll be raised off your page. I love the versatile shapes and also how different they are from any other sticker out there … very original. These are the Wander “Pieces” taken out of the package you saw above and spread out so you can get a good look at them. Aren’t they darling? Again, I’m loving the colors of these, and how they’re different than the million other travel-themed die cuts we’ve seen over and over. I like that some give you room for journaling and others are purely decorative. Here are the Wander “Chip Stickers,” again taken out of the package you saw above for a better look. You get 4 sheets of chipboard stickers. As always with Basic Grey, the quality of these is top-notch, made of thick cardboard in rich colors. 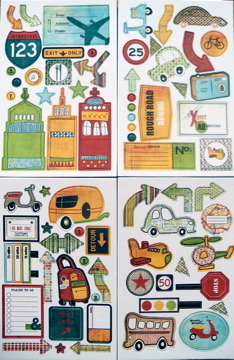 I think the little car, bus, and planes shapes are stinkin’ adorable. These are the Wander “Elements” stickers. 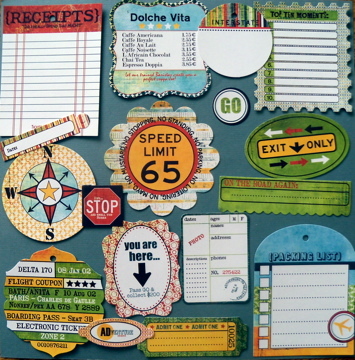 You get a 12×12 sheet of thick, cardstock stickers which include so many shapes AND borders. 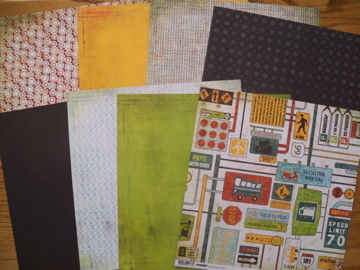 And finally, here are the 8 papers you get in the exclusive Memory Works “Theme Set” of Wander by Basic Grey. … and back side. I hate to keep harping on the colors, but that’s what really stands out for me with the Wander line. They’re are so rich and so versatile. 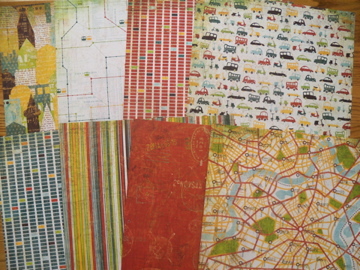 They’ll go with photos from just about any kind of trip and as you can see, there are some really easy-to-use designs here from the subtle, almost-solids to the bright patterns. It’s just a great mixture of papers. If you’d like to purchase any or all the Wander collection by Basic Grey, please click HERE and I’d love to get it ordered for you :) These are only some of the BG “Wander” items we carry; there are several other things like buttons, fancy brads, cloth and felt stickers, office tabs, etc. These are the Pyrus “Epoxy” stickers, which are a nice variety of flexible, kind of bubbled stickers with cute phrases about gratitude and memories. The basic intent of this line is, of course, Thanksgiving, but this sticker pack could sure be used on everyday layouts, thank you cards, and more. 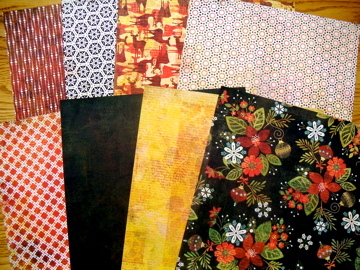 Here are the papers from the Memory Works exclusive “Theme Set,” with 8 gorgeous papers. 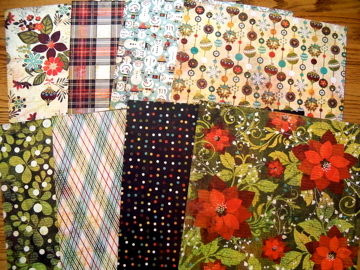 They are mainly earth-tones but there are pops of color like turquoise and deep green. I like how they aren’t your typical fall leaves, turkeys, and pumpkins but instead leaf designs, pears, flowers, and swirls. Alright, finally I’m going to show you some of the Basic Grey “Jovial” line, which is themed to use for your holiday scrapbooking. 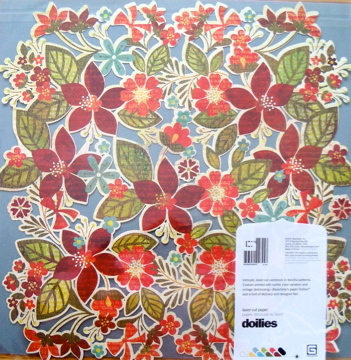 I HAD to get this Jovial “Doily” die cut paper. I put it on top of a medium blue paper so you can really see how intricate it is. The poinsettias are so pretty and one cool thing is you can even cut around those and just use the other flowers and leaves for a non-holiday layout. 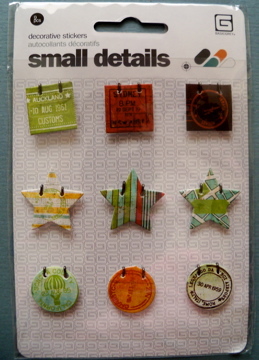 Here are the Jovial “Small Details” 3-D stickers, similar to the ones I showed you for Wander. They are on a pop-dot so they’ll be somewhat raised from the page. They are really cute and you can see how well they go with the Jovial papers. Oh. My Gosh! These colors are SO rich and SO pretty, I can’t get over it! I love the use of the blacks and browns to kind of bring all that Christmas red and green down to earth. … and the other side of the same 8 papers. Again, many of the papers can be used on everyday layouts because they don’t have an overtly holiday theme and there are colors beyond just the red and green of so many other holiday lines out this year. I’m hoping I’ve got you craving these 3 new lines by Basic Grey! If I do, please come order from me at MY WEBSITE :) I would love to help you get a Basic Grey box in the mail like I did. Believe me, it will make your day, LOL! What do you think of these 3 new lines by Basic Grey?? Have you bought any yet or do you plan to? Wander reminds me of Cosmo Cricket, I do like Jovial..
Hi there! So excited to see this post on the new Basic Grey lines. I love Basic Grey! 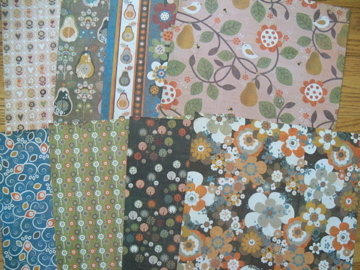 Pyrus is gorgeous — the pear pattern is my favorite. 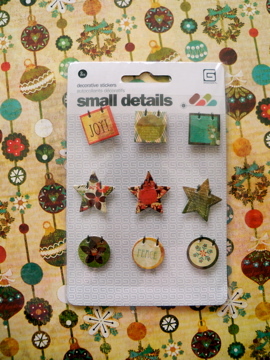 Not much for any holiday-themed papers, but I do like the Jovial die-cut page and stickers. Just did a project with papers from BG’s Urban Prairie line, and I’m planning on another project using papers and die-cuts from the Periphery line. Love, love, love BG :). So cute, but then again is BG totally love it! Thanks for sharing! Those are some nice paper and embellishments. Your stop sign on 2peas…..someone did that on one of the stop signs on the way to my daughters school. I love the Wander line! 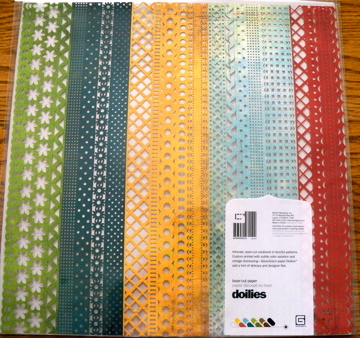 I also bought the laser cut strip Wander paper! The Pyrus is also so pretty!! 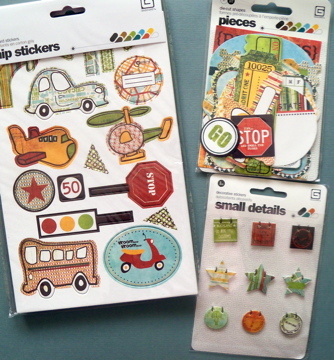 I bought the chip stickers and some of the paper….it’s calling to me! Thanks for sharing! I love the colors here! I am just starting my honeymoon album and will be posting pages on my blog asap. 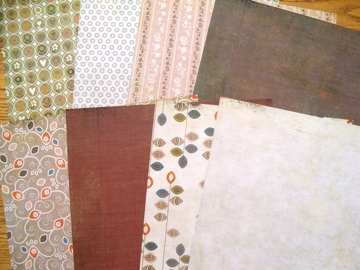 These materials would work great with the colors I’m using in that album! Everything okay? Miss seeing your posts. Couldn’t believe there was no comment about crafting day on HSN last week. I flipped past the channel and thought this can’t be happening…Erika didn’t tell us about it! Might have to place my Memory Works order I have not purchased anything since I arrived to England so I should get on that since I still have my account with them LOL. Thanks for the pics especially those journaling tags they are HUGE. I think I might be running those through my printer ..